In the world of fast fashion, quality is no longer an issue, because you need clothes to last just until the next trend comes along. 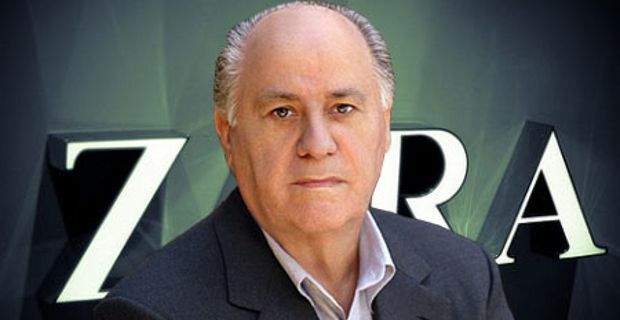 Meet Amancio Ortega: the fast mover on Forbes billionaires list. Ortega, 79, is the 2nd richest man in the world after Bill Gates. His net worth of $71.5 billion has surpassed Warren Buffett in early 2013. He is the founding chairman of Inditex SA, best known for its retail store giant, Zara. Zara has cracked the formula to fashion retail success: fast fashion. According to a study by Cambridge University, people bought around 30% more clothes in 2006 than they did in 2002. Women bought around four times more clothes than they did in 1980, and they also dispose more clothes each year. Fashion trends change as quickly as tech trends, courtesy of real time online coverage of street style and fashion weeks. Fashion labels use to produce two main collections per year, and what used to be six month long fashion trend cycle has been slashed down to as short as three weeks. As clothing brands compete for larger market share, they introduce more affordable clothing line at relatively cheaper prices and more collections produced in a year to respond to the changing consumer behavior. This leads to a new fashion retail revolution – fast fashion. The term fast fashion is largely associated with disposable clothing as retailers produce mass designer products at relatively affordable prices. Fast fashion is basically producing affordable clothes based on catwalk designs and sell it as fast as possible in order to respond to the latest fashion trends. This means fast manufacturing, fast shipment, and fast customer purchase. This model was developed around late 1990s, and Zara has been at the top of this revolution along with other large retailers such as H&M and Topshop. You don’t have to come up with a new product to be the biggest global fashion retailer. You just need to invent a new process. Not so much. Again, fashion trends change quickly, and it is hard to distinguish yourself from your competitors. Advertising and world-class designers cost a lot of money, and these are the two essential factors if you want to stand out from your competitors. Rather than relying on designers, Zara subtly copies their designs and modifies them based on Zara’s network of global customer feedbacks. Zara’s headquarter collects feedbacks from shoppers from all around the world and sends these comments to manufacturers to be incorporated into the next line of production. Zara’s approach to customer feedbacks is very admirable. They monitor shoppers’ reactions based on what they buy and what they do not buy, as well as what shoppers are saying to their sales clerks such as “I love this red pants” or “I hate zippers at the back”. Store managers report these feedbacks to the HQ where it will be communicated to their in house designers. They will come up with new designs based on these feedbacks and quickly ship them to stores all over the world. Zara invested massively in their IT infrastructure that when I was studying, Zara’s IT infrastructure and supply chain case studies came up several times as reading materials. Zara has cracked the formula needed to differentiate itself from competitors by performing their supply chain activities differently that it gives them competitive advantages over their competitors. Instead of the conventional 5-7 months supply chain response, they slashed it down to 2 months. Instead of procuring fabrics after design and development, Zara turned this process the other way around. Designs are based on available fabrics and materials, which eliminates the time consuming process of fabric formation. Smaller and more frequent shipments are also keys to keep inventories fresh and unique. 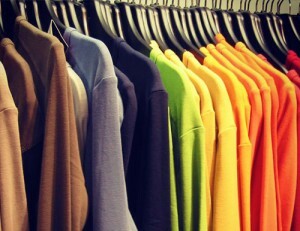 A shipment might only contain around four or five shirts or pants in each style for each store, but store managers can request more if there is demand. Clothes hit the stores less than 3 weeks after being designed, while most apparel production time can vary from 30 to 60 days. Garments are shipped to retail stores and the inventories change so quickly that shoppers are tempted with a “buy now or never” choice each time they come in to the store. If shoppers in Tokyo, New York, and Singapore respond well to maroon skinny jeans, Zara will deliver more maroon skinny jeans, or a variation of skinny jeans, or maroon colored clothing to stores within weeks. Inventories move so quickly that the company’s higher labor costs can be offset by fast turnaround with way less inventory in the warehouse. 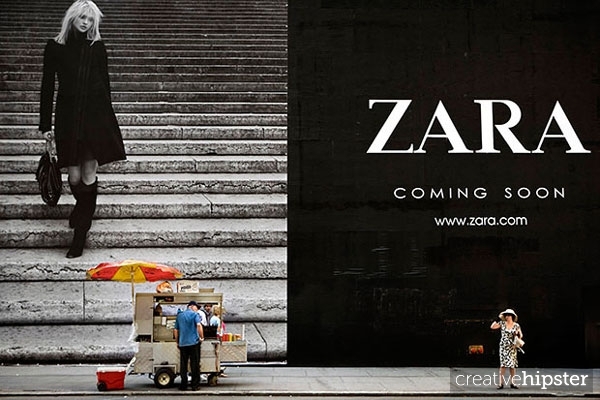 Have you ever came across a flashy Zara advertisement on magazines, newspapers, online newspapers, anywhere? Thought so. Compared to other major fashion retailers, Zara only spent around 0.3 percent of sales on advertising, and these are typically new store opening announcements in local newspapers or magazines. Even their designers are completely anonymous, and they hardly own a marketing department. Their advertising focus is on real estate, the company invests mainly in their store locations. Athina is from Indonesia and has been living in Singapore since 2008. She graduated from Singapore Management University in 2013 with a major in Information Systems and a second major in Finance. She is now working as a web developer for Healy Consultants in Singapore.